The Cape Neddick Lighthouse, more commonly know as ‘The Nubble’ is one of the most visited and photographed lighthouses in the world. When the Voyager II spacecraft was sent out beyond our solar system in 1977, a ‘travel brochure’ for extraterrestrial life containing images of life on Earth was loaded onto the craft. The images contained the Great Wall of China, the Taj Mahal and, of course, the Nubble Lighthouse. 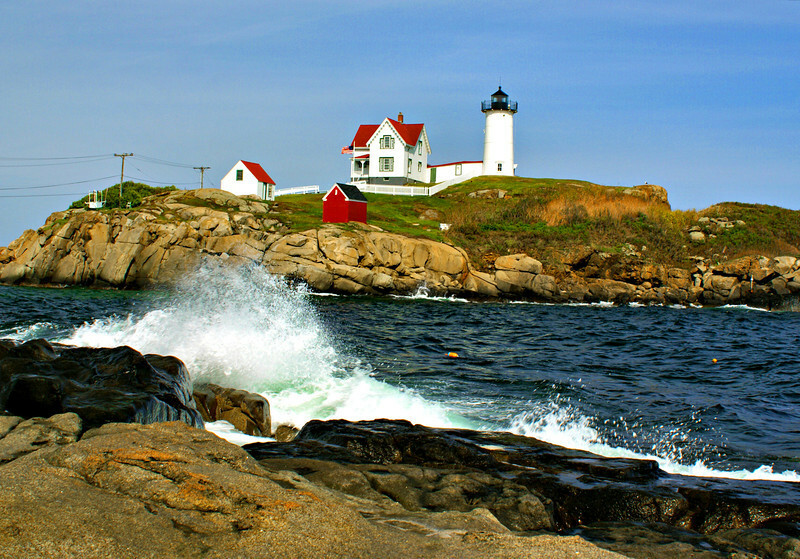 The Nubble is the name of a small rocky islet located just off Cape Neddick in southern Maine. Located two miles north of the York River near offshore ledges, mariners requested a light at this site in the early 1800’s.